We’re proud to partner with Oracle Health Sciences to offer the InForm Electronic Data Capture (EDC) System. InForm EDC receives outstanding reviews and is viewed as the industry’s best. It simplifies data collection, aggregation and analytics. InForm EDC has more successful submissions to the FDA than any other EDC system – including Medidata Rave. The InForm EDC platform is renowned for its trusted performance and scalability. It has been used in over 3,000 clinical trials worldwide. InForm EDC’s interface and query management features drive eﬃciency through the clinical data management process. Right up to submission, InForm eases the process with fully compliant CDISC SDTM exports. The data summary and reconciliation reports were developed in a Cooperative Research and Development Agreement with the FDA. InForm provides the leading functionality in electronic data management. InForm EDC’s ﬂexible architecture and integration capabilities facilitate easy implementation. The deployment as a hosted solution reduces hardware cost, validation efforts and organizational impact. With a full suite of reporting and transfer features, the InForm EDC provides you with everything you need to run a clinical research study from setup to submission. 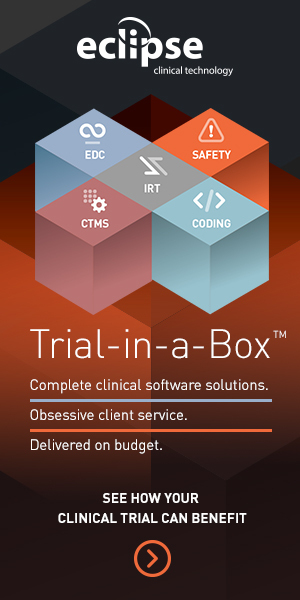 InForm EDC is also one of the leading clinical trial software that integrates with our certified coding application. Conduct pharmacovigilance coding and safety coding with eclipse coding. Eclipse Coding workflow streamlines the coding process and improves clinical trial coding efficiencies. Manage and code with multiple dictionaries, versions and formats. Code all clinical trials one at a time. As clinical research continues to demand innovative approaches for clinical trial software, we help sponsors meet those challenges with highly rated Electronic data management services and clinical trial technology to ensure your trials are a success. Our obsession with client service and the use of innovative clinical trial software from Oracle makes us well suited to deliver the right solutions for your unique clinical trial projects. There are many factors in choosing a new EDC system and we talked about quite a few of them here. If you would like to explore your EDC software options further please schedule a consultation with one of our EDC experts.